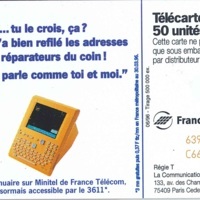 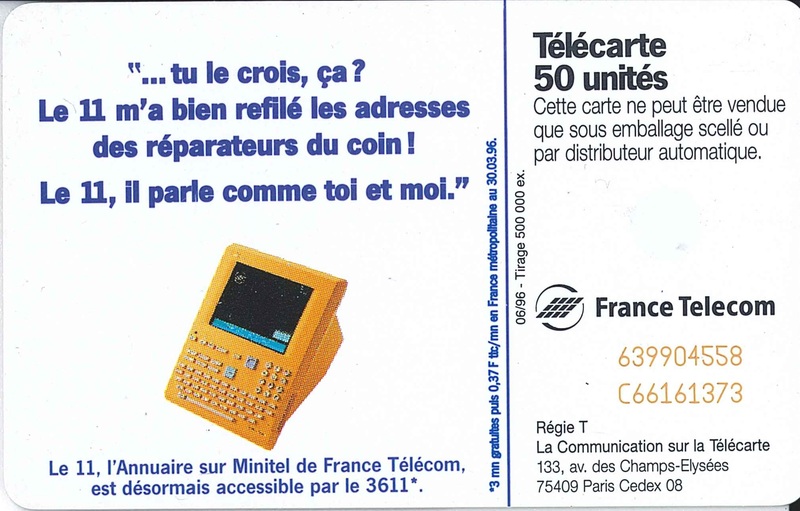 In a series of humorous cards, France Telecom advertised the advanced natural language search features of its yellow pages service, "Le 11". 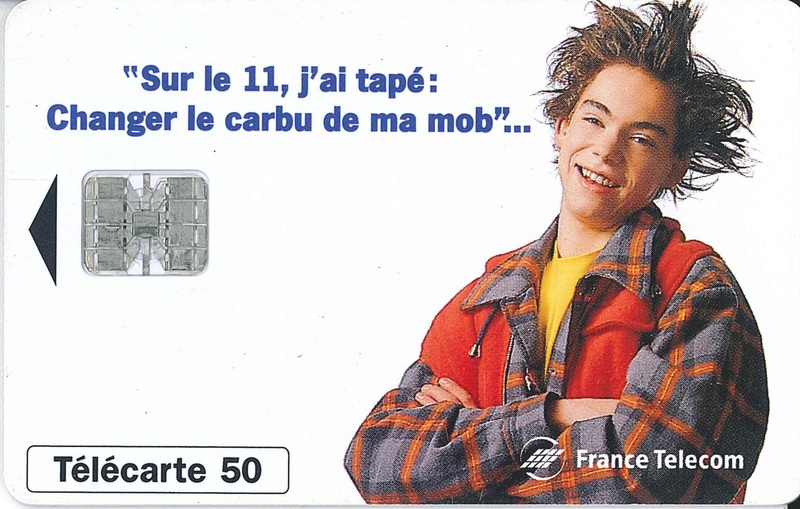 On this card, the teenager states: "On Le 11, I typed 'changing my scooter's carburetor' ... hey, can you believe it, Le 11 gave me the contact info for all the mechanics in the neighborhood. 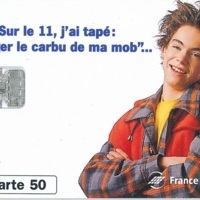 Le 11, it speaks the same language as you and I."